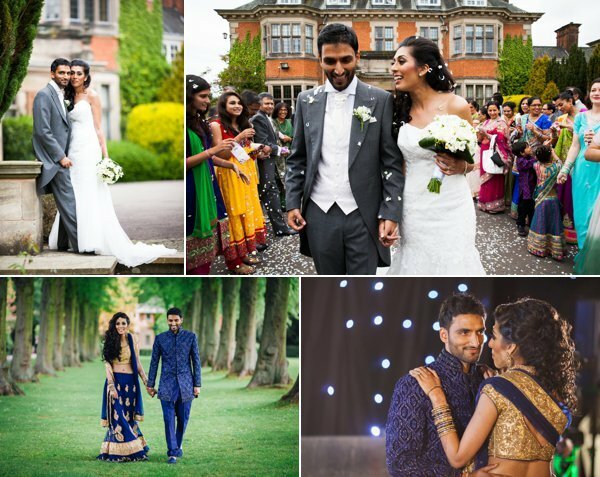 Gopi and Michelle got married in a lovely civil ceremony at Ramada Parkhall Hotel followed by their reception at the same venue. While Gopi got ready at home surrounded by his loved ones, Michelle got ready in the bridal suite of the venue with her nearest and dearest. Michelle wore a lovely lacey white wedding dress while her bridesmaids wore long blush pink dresses. While Michelle got ready, each of the bridesmaids received gifts and they returned the surprise by presenting Michelle with a little booklet of memories. The girls had all known each other from their days at school and were very close friends so this gift was both personal and meaningful to Michelle. How sweet! 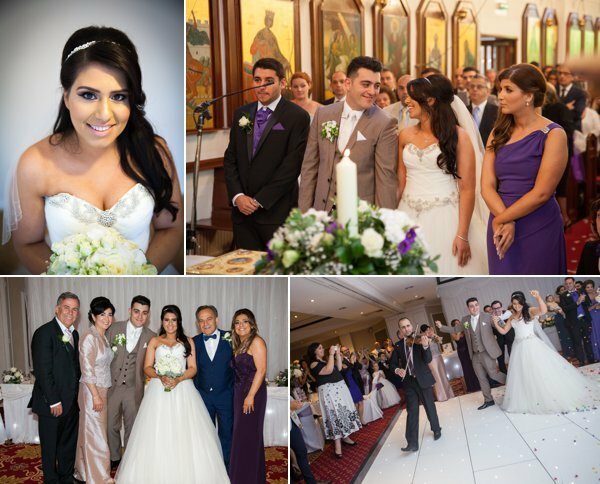 Michelle made her grand entrance with her father into the Orangery of Ramada Park Hall and the wedding ceremony began. The couple shared their vows and officially became husband and wife. After the ceremony, all guests went out into the grounds of the venue for canapés and champagne. The venue has a lovely grand sweeping staircase where we grouped the guests for a big group portrait and confetti shot before taking photographs of smaller groups with the couple. Gopi and Michelle had planned an outfit change so we managed to get some photographs of the couple before they headed up to their room to get changed. Once they got changed, they headed back downstairs to make their 2nd grand entrance of the day. Once Michelle and Gopi entered the Ballroom they cut their fabulous colourful cake designed to look like beautiful indian style cushions and then took to the dance floor for their first dance. The dance floor opened and our Newlyweds had their nearest and dearest join them on the dance floor to celebrate their beautiful day. It was such a pleasure capturing your special moments, thank you for choosing us to be part of your big day. 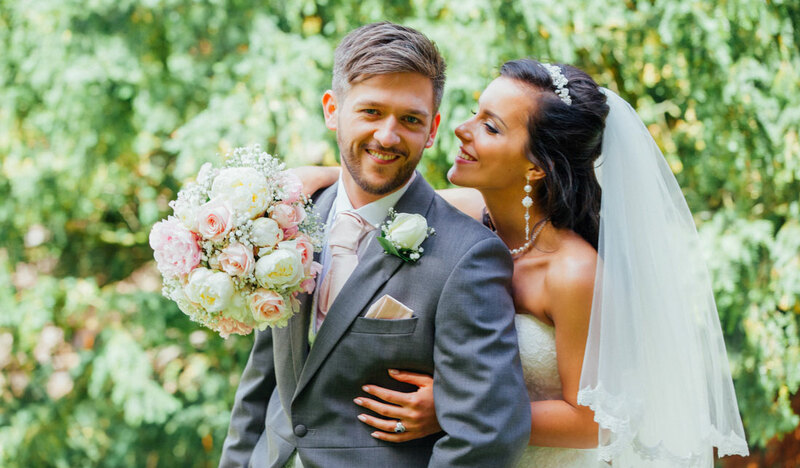 Set at the stunning Mythe Barns, Natasha and Gavin held their wonderful wedding ceremony. Made up with white and ivory roses, the bouquets created by Fairleys complimented the bridesmaids’ aquamarine, floaty dresses. The Bridal party looked elegant as ever and Natasha’s bridal gown from The Dressing Rooms made her look no less than a princess. Gavin and his best men rocked up to the venue in their shiny sports cars to then await his beautiful bride’s entrance. Linked arms with her proud father, Natasha floated down the aisle which was adorned with gypsophila. Accompanied by big smiles and laughter, the couple exchanged vows and sealed the deal with a warm embrace in front of their friends and family. The newly wed couple were then greeted with cheeky cocktails and cheering guests. Entertained by the talented magician Christian Fletcher, Natasha and Gavin’s guests mingled and enjoyed the tasty treats Myth Barns had to offer. We had a lot of fun capturing the couple’s first photographs as husband and wife, paying particular attention to Gavin’s impressive collection of sports cars. The bridal party were by no means afraid of getting their heals dirty and showed off their jumping poses as well. After returning to the reception party, Natasha & Gavin cut into their tier of cupcakes, kindly created by a family friend. As soon as the Midlands Pro DJ started the tunes, the couple performed their well-rehearsed first dance. It no time at all, the rest of the wedding party joined them on the dance floor as well as their beautiful daughter. Kiera and Jake had their lovely wedding at the Holy Trinity church in Belbroughton followed by their reception at Stourbridge Golf Club. Keira got ready at home in her lovely family cottage with her bridesmaids and close loved ones before heading to the church to meet her Husband to be. We managed to capture some lovely shots of Kiera, her parents and her beautiful bridesmaids at home before heading to the church, where one of our other photographers were focusing on capturing the Groom and his Groomsmen. After the couple shared their vows and officially tied the knot, we took formal group shots of the guests with the newlyweds outside the church. We loved how adorable Kiera and her son were for a handful of photographs. Once all the guests made their way to the reception venue, Kiera and Jake had some couple photographs done around the grounds of the church. It was a lovely sunny day and we wanted to make use of the stunning church surroundings. The newlyweds made their way to Stourbridge Golf Club where we took more couple photographs before they made their grand entrance. Once seated, and after their wedding breakfast, speeches were given by the couple’s nearest and dearest including Jake himself. After speeches, we took the couple outside once again for a handful more couple photographs before Kiera decided to get changed into another dress. The duple re-entered the venue to cut their cake and have their first dance as husband and wife. 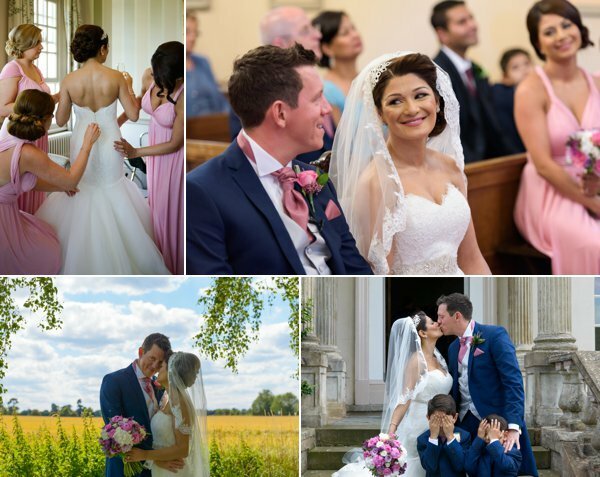 We adored this elegant classic English wedding. Thank you for choosing The Finishing Touch to capture your special day.